If you have a home loan you are probably copping it from everyone - your next-door neighbour to the 7 o’clock news - all talking about refinancing. So, is now a good time to refinance? There are a few different situations where refinancing could make sense for you, so let’s go over a few of the main reasons to refinance your home loan in 2018. First up, what is refinancing? Refinancing your home loan means changing your existing loan for a new one and in most cases, with a new bank. The two main reasons people look to refinance their home loans are either to get a better rate or to increase their existing loan to withdraw some home equity. You can refinance your home loan from any bank or lender you choose, and it doesn’t necessarily need to be your existing lender. These days, banks do not reward loyalty, and in most cases we find lenders offer better deals to new customers rather than rewarding their existing ones. If interest rates have changed since you got your original home loan, you may be able to refinance to a new loan with a lower rate. By refinancing your loan you can also reduce the amount of interest you pay. Reducing monthly repayments ultimately means you will pay less over the life of your loan. At Hunter Galloway, we find in most cases if you have had your home loan for over two years, you are on an uncompetitive interest rate. Let’s say your current home loan interest rate is around 4.50%, you owe $500,000 on your mortgage and current repayment is $2,534 per month. You could look at refinancing your home loan to a cheaper lender who can offer an interest rate of 3.75%, your monthly repayments would reduce down to $2,315 per month, reducing your repayment by $218. The craziest part is the power of compounding interest. 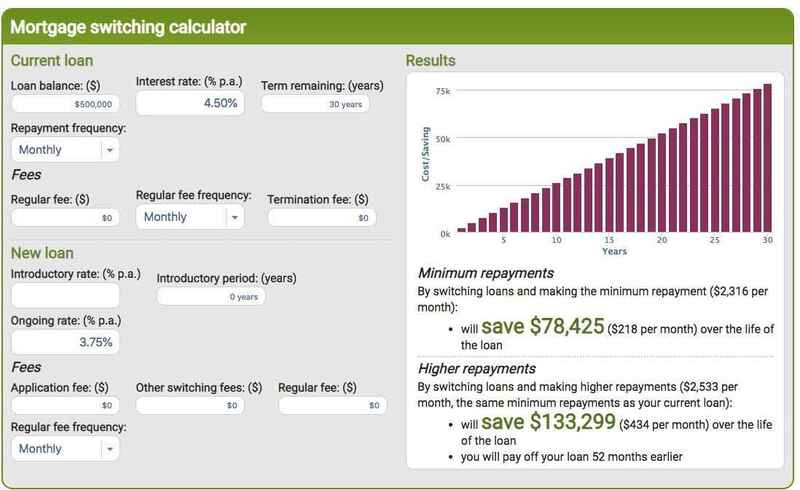 Using the ASIC MoneySmart refinance calculator to do the numbers, if you were to switch to the new lender with an interest rate of 0.75% lower, on your mortgage of $500,000 you would not only save $218 per month but you would save $78,425 over the life of the loan! Broadly speaking, property prices in Australia have increased over the past 5-7 years. If your property’s value has gotten a boost, you might be able to refinance and get a better rate. These days, banks give better interest rates to borrowers with more equity. For example, if you bought your home for $500,000 and had a loan of $450,000 but the property’s value has since increased to $600,000. In this case, your home equity has increased from 10% to 25% and lenders will be more willing to give you larger discounts in order to win your business. Overall, reducing your interest costs and helping you pay off your loan faster! It is very common in Australia to have a fixed rate term of between 1 to 5 years. When your fixed rate finishes at the end of that 1 to 5 year period (or expires in bank talk) your loan will change back to a variable rate. However in most cases the bank’s standard variable rate doesn’t have any discounts! You can avoid this by switching to another fixed rate, or looking at your refinance options to maximise your interest rate discount. For some people, changing the length of your loan term can help pay off your loan quicker. If you can afford higher monthly home loan payments, perhaps because you’ve had an increase in income - you could refinance to a shorter loan term. In this case, you could look at reducing your loan term from 30 years, to 25 years helping you pay your home loan off faster, saving you literally tens of thousands of dollars in interest payments over the life of the loan. Say you had the home loan of $500,000 and you refinanced your loan to a new interest rate of 3.75%. 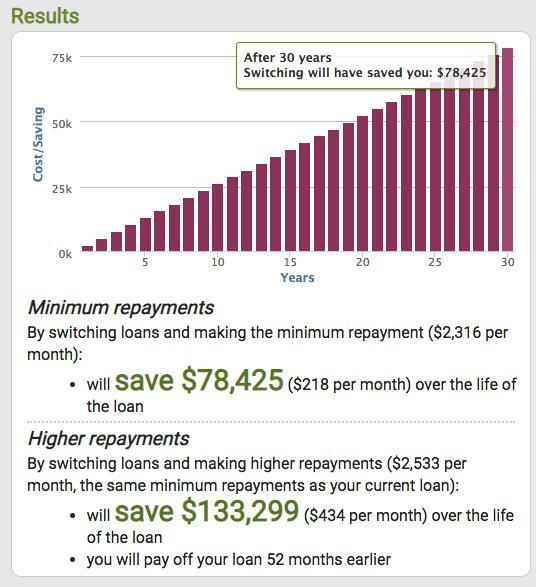 If you were to keep the repayments the same as what you paid with your old bank at $2,535 per month while on the lower interest rate, you would save $133,229 over the life of the loan. You would also pay off your home loan 52 months earlier, or DROP 4.3 years from your home loan term. A cash-out refinance allows you to use the equity you have in your home to borrow money at a lower cost. You may want to invest these funds into shares or use it as a deposit towards a new investment property. How exactly does increasing your loan work? Using the example above, let’s say your house is today worth $600,000 and you have $450,000 left on your current mortgage. This means you have $150,000 in home equity. You could refinance to turn $30,000 of this equity into a home loan, bringing your total lending to $480,000. You can potentially increase your loan above an 80% LVR (loan to value ratio) but you would need to pay for lenders mortgage insurance so it would be best to talk to your mortgage broker and understand what these numbers look like because the costs of Lenders Mortgage Insurance could range into the thousands. After you’ve been in your home for a few years you might feel its time to do some renovations. These generally fall under two categories: simple renovations, like adding air-conditioning, solar panels or painting and structural renovations, like adding an extra level to the house, a pool or new kitchen. If you are doing a simple renovation, the numbers work exactly the same as taking cash out and you would rely on the equity in your home. With structural renovations, you can rely on the on completion value of the renovated property. So for example, if you are adding an extra bedroom and bathroom to the property which would increase the value of the home by an additional $100,000 - the bank can lend on this figure. Using the example above, if by adding an extra bathroom and bedroom increased the property’s value from $600,000 to $700,000 you could then increase the lending to $560,000 meaning additional lending of $110,000 can go towards your renovations. Lastly, you can refinance to consolidate other loans and debts into a single and possibly more affordable payment. This can be handy in situations where you have high-interest rate loans and debts like credit cards, personal loans or car loans. 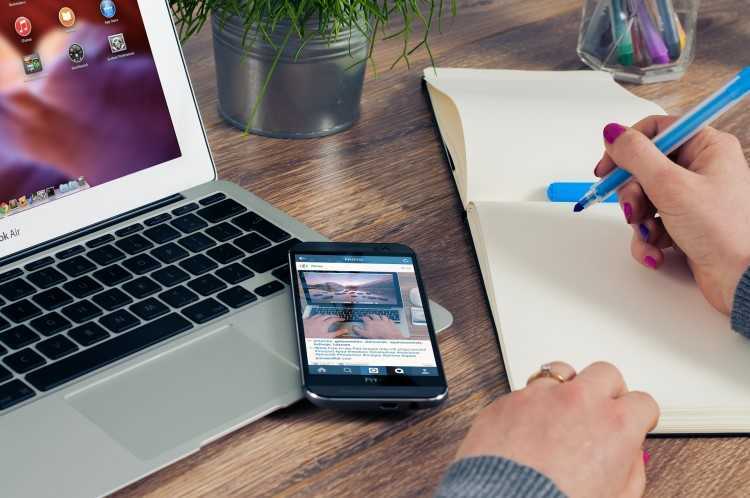 A debt consolidation refinance works in a similar way to a cash-out refinance, where an increased portion of the loan can be used to pay out other loans and debts. Your old home loan will be replaced by a new one that includes the amount you used to pay out those other debts. Debt consolidation works well if you have lots of different credit cards and are paying very high-interest rates. The only downside when consolidating debts is to consider the new loan term and what the total interest costs will be after you have consolidated everything. So what do you think, is refinancing right for you? 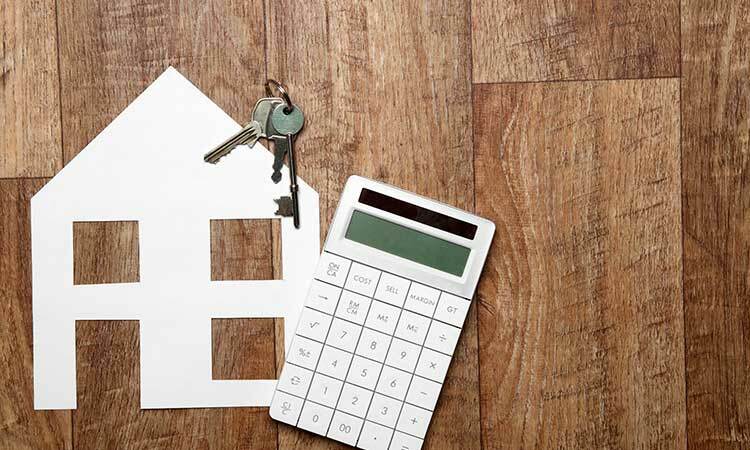 While there are heaps of benefits to refinancing your loan, you need to remember there are still costs to complete the loan application, switching fees and some government fees to change. In general, these can range from $400-600 for a single property refinance. The good news is that there are lots of banks who offer refinance rebates at the moment, and in some cases, we have been able to arrange up to $2,000 refunded to our refinance clients on the settlement to cover the costs of switching (and leave them with some money left over)! There are some terms and conditions to the refinance rebate, so it’s best to chat with our team at Hunter Galloway to see if your individual situation qualifies. We’re more than happy to help you walk through your refinance options and find the right option for you. You can schedule a call with one of our Expert Mortgage Brokers, or get started with your refinance journey here.